What do you get when you combine a tenacious businessman and a passionate jazz musician? You get The Aston Grey Project. Chris Clay, the force behind the group, hails from New Orleans and is no stranger to the music business. So, it only makes sense that when he embarked on the quest to start a jazz band, he would enlist some very fine musicians. Collectively they released the sultry laid back CD, “Chill Lounge.” It consists of 12 songs that offer something for every listener. The first radio single is “Relax Your Mind,” and the project has seen a tremendous amount of success–even internationally–in a very short period of time. The group has already completed their next project titled “The Sounds of 52nd Street,” a swing jazz EP. This year will be very busy for The Aston Grey Project; they are set to begin touring as well as putting the finishing touches on another CD slated to be released in August titled “Changing The Game.” Chris assures me that it is going to be outstanding. I can’t wait to see them perform live as Chris will step from behind the piano and become the conductor for the band. Phoenix, Arizona (24 January 2014): With thousands of old school and new school R&B and contemporary jazz fans from across the U.S. flocking to Phoenix twice a year for the Arizona Jazz Festival, promoter BTWconcerts.com will present a captivating crop of Grammy winners, hall of fame legends and current chart-toppers at the spring edition taking place March 7-9, 2014 at the luxurious Arizona Grand Resort & Spa. Tickets are available now as three-day or single-day concerts through the Arizona Jazz Festival website (http://ArizonaJazzFestival.com) or by calling 602.244.8444 with prices ranging from $50-$750. Grammy winner Ne-Yo serves as opening night headliner in what promises to be an elaborately choreographed production showcasing R&B-pop hits from the singer-songwriter-producer accompanied by a splashy army of dancers and backing musicians. Opening the evening, eight-time Grammy nominated singer-songwriter Ledisi offers a smooth blend of sophisticated soul brushed with elements of jazz. The Saturday schedule gets underway with a pair of soul-jazz saxophonists, Marion Meadows and Paul Taylor, performing as a dynamic duo. Hitmen Euge Groove, Peter White and Rick Braun unite as Jazz Attack for an energetic set from the instrumental fan favorites. In advance of a national concert trek, a unified collective of R&B vocalists and contemporary jazz musicians will debut as the Hypnotic Groove Tour. Crooner Jeffrey Osborne, Grammy winner Faith Evans, Grammy nominee Maysa, singer-songwriter Rahsaan Patterson, neo soul trombonist Jeff Bradshaw and saxmen Eric Darius, Michael Lington and Dominic Amato will mix and match in a variety of intriguing combos. Next, Motown legend and Rock and Roll Hall of Fame inductee Smokey Robinson will cruise through a collection of his sparkling-eyed classics. Considered the Godmother of Soul, Grammy winner Patti LaBelle will unleash her force of nature voice into the desert night to close the bill. Opening the final day is Michelle Williams, a Grammy winner as a member of Destiny’s Child who has also achieved award-winning solo success as a gospel and R&B vocalist and on Broadway as an actress. Leela James, a gritty-voiced new school singer heavily influenced by iconic old school vocalists, will belt out a soul-stirring set of R&B, hip hop and blues joints. An international trio composed of Grammy-winning guitarist Norman Brown, South African singer-songwriter-guitarist Jonathan Butler and Swiss-born pianist Alex Bugnon infuse global sounds into a multicultural mosaic of jazz, R&B and pop. The Empress of Soul, seven-time Grammy winner Gladys Knight brings an air of class to the festival along with decades of crossover hits. Grammy-nominated chart-topper Dave Koz & Friends Summer Horns with Mindi Abair, Richard Elliot and Gerald Albright conjure fun memories as the all-star sax quartet rips through horn-powered hits from the ‘70s and ‘80s packed with funk, R&B and jazz. In the festival’s closing spot, Rock and Roll Hall of Famers and 2014 Grammy Lifetime Achievement Award winners Ronald Isley and Ernie Isley aka The Isley Brothers bring a wide-ranging songbook of soul, R&B, funk, rock and street corner doo-wop hits that dates back to 1959. A host of the festival’s artists will participate in the All-Star Jam after the Saturday program concludes and some will perform at The Sunday Brunch with seating beginning for the buffet and inspirational concert at 9 AM. Separate tickets are required for these events and are available for $25 and $39.50 respectively. Taking place in March and October, the Arizona Jazz Festival is a music and lifestyle experience held at a plush first-class resort attracting a diverse adult audience from all over the nation. Attendees often make a vacation out of it by immersing themselves in the music while taking advantage of the Arizona Grand Resort & Spa’s extensive offerings such as the all-suite hotel’s 18-hole golf course, water park, athletic club, full-service spa and salon, and six on-site restaurants. Ticket and hotel packages are available at www.ArizonaJazzFestival.com. Phoenix, Arizona-based BTWconcerts.com is one of the premier concert producers in the Southwest. Among the star-studded jazz and R&B concerts and multiday music and lifestyle festivals that the company promotes at first-class resorts are the Arizona Jazz Festival (http://ArizonaJazzFestival.com), San Diego Jazz Festival (http://www.SanDiegoJazzFest.com) and the Las Vegas Jazz Festival (http://www.LVJazzFestival.com). BTWconcerts.com’s sister company for at sea events, BTWatsea.com, will launch the maiden voyage of the Maxwell + The 7 Seas Cruise (http://www.maxwellatsea.com) in 2015. Album pre-orders underway as the first single, “Fullerton Ave.” featuring Chuck Loeb, earns the highest debut on the Billboard chart and the music video premieres. Los Angeles, Calif. (23 January 2014): Twenty years in the making, the album multi-instrumentalist hitmaker Brian Culbertson wanted to record ever since he was a 20-year-old music student at DePaul University recording demos in the bedroom of the crowded Chicago apartment on Fullerton Avenue above a costume shop that he shared with three roommates is finally ready for release. Joined by some of the most accomplished musicians in contemporary jazz, Culbertson completely reimagined the eleven songs he wrote and produced for his debut disc, “Long Night Out.” “Another Long Night Out” will be available in stores and online February 25th with Amazon and iTunes now accepting pre-orders. 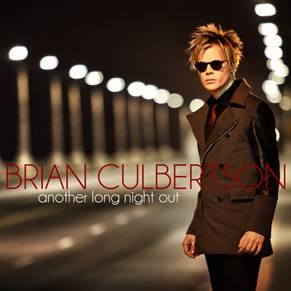 Culbertson will autograph albums pre-ordered through his website (www.BrianCulbertson.me). The low-budget demos on which Culbertson played most of the instruments himself resulted in his first record deal and became his debut album. It is fitting that the entirely re-envisioned production serves as the first release from his BCM Entertainment label. Culbertson’s 14th collection, “Another Long Night Out” is prefaced with the release of “Fullerton Ave.,” which will be the highest new single to debut on next week’s Billboard Smooth Jazz Songs chart. A video of the sprawling jazz jam led by Culbertson on piano, Fender Rhodes, Wurlitzer, keyboards, slap bass, trombone and tambourine and a towering inferno of lead guitar from Chuck Loeb premiered yesterday on Culbertson’s YouTube page (www.youtube.com/brianculbertsonmusic). The clip showcases an all-star ensemble – Paul Jackson Jr., Michael “Patches” Stewart, Eric Marienthal, Jimmy Haslip and Will Kennedy – recording the cut in the studio along with a montage of shots of the Chicago skyline and the city’s locales frequented by Culbertson, including his college apartment. “‘Another Long Night Out’ is a return to my creative roots and reflects my love of instrumental contemporary jazz. To help realize my vision, I gathered many of the legendary musicians that inspired me to make this kind of music in the first place. People like Lee Ritenour, Chuck Loeb, Nathan East, Russ Freeman, Jonathan Butler, Candy Dulfer, Jimmy Haslip, Rick Braun, Eric Marienthal, Larry Dunn, Steve Lukather, Ricky Lawson, David Benoit and many, many more joined me in the studio. This is the project that I’ve wanted to do for many years and I’ve finally done it,” said Culbertson, an award-winning radio favorite and concert headliner who has amassed 26 No. 1 hits as an artist, producer and songwriter. “Another Long Night Out” will be supported by record release events, in-store appearances and concert dates. Culbertson is also a lifestyle curator who created the Napa Valley Jazz Getaway, a star-studded wine and jazz festival that will take place for the third time June 11-15, 2014 drawing thousands of music and wine lovers from around the world to Napa, Calif. He will soon unveil his own wine, a Pinot Noir blended in partnership with Reata Wines and Jamieson Ranch Vineyards. For more information, please visit www.BrianCulbertson.me. I am thrilled to kick off 2014 with one of my favorite groups; INNERTWYNED. I’m not only a true fan but also a friend. It was a pleasure to once again sit down and talk with this extremely talented group of musicians about their endeavors as a unit and individually. Watch our live video at the link below. As I look forward to 2014, I have to give thanks for 2013. This past year has been full of twists and turns and many unexpected realities. God has been so good. It was in the spring of this year that I created my blog, Pink and Blue Notes. Although quite unexpected at the time, it was born out of my love and passion for music. I am grateful and humbled by the generosity of the many artists, musicians, publicists, managers, radio show hosts, and jazz magazine owners who have made what I do a joy that grows with each and every encounter. 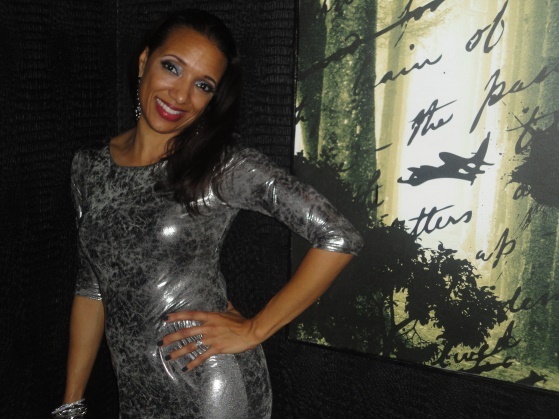 I have enjoyed listening to some incredible music, meeting and interviewing amazing musicians, attending shows and jazz-fests, and forming fulfilling relationships. Thank you to everyone I’ve had the pleasure of working with. You’ve made Pink and Blue Notes a success. As I move into 2014, I look forward to maintaining relationships and embracing new ones as I continue my quest to share music–the universal language–and the artists that bring it to life. I’ll see you in 2014.